We use our own " V " Method of addressing existing cracks . Cracks are filled with 2 part epoxy Resin and Silica Sand . 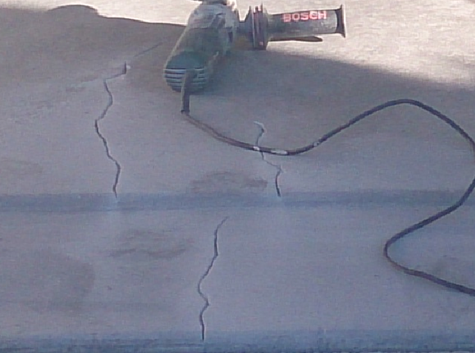 Our Crack Repair system is Highly Effective In Stopping the return of Existing Cracks .